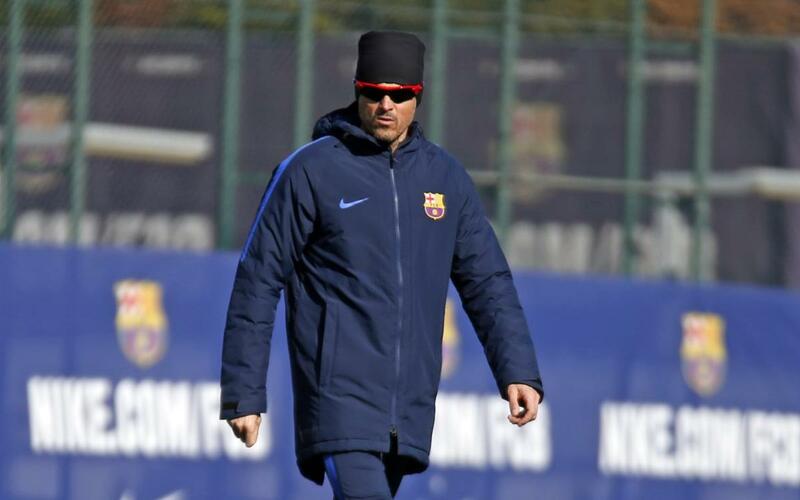 Barça take on Atlético in the second leg of their Copa del Rey semi-final at Camp Nou on Tuesday evening at 9.00pm CET and coach Luis Enrique is quietly confident given his team’s experience. “My players are experts in big games,” said the blaugrana boss to the assembled press in his traditional pre-match press conference at the Ciutat Esportiva. The squad are looking to reach their fourth successive final in the competition, “an attractive challenge” according to Luis Enrique. “The Copa del Rey is very good competition for Barça and we are excited about reaching the final once again,” he added. The Camp Nou crowd will also be an important factor. “We need the crowd, their support will be vital,” he revealed. Against Diego Simeone’s side, Neymar is out through suspension and the Barça boss hinted that either Arda Turan or Denis Suárez could come in to replace him. Players on their way back from injury could also play a part. “Sergio Busquets and Iniesta are better every day and Piqué is fine,” said the Asturian after the latter was replaced at half time during the league victory over Athletic Club at the weekend.